"If you've got ideas to share with people it not only benefits you but your readers also". The above statement is my thought on writing online and creating eBooks. Financially there is no cost involved especially if you're working during the day. There is no publisher or printer needed, all of the tools you require to create and edit your eBook can be found online. You can use Amazon Kindle to sell your eBook and market it, making yourself money to. 1. Choose a subject you're interested in and become an expert. Your subject could be work related or something you enjoy doing in your free time. By sharing your knowledge you can help other people while you build your reputation at the same time. 2. Once it's written it's there for keeps. When your eBook is published it will be earning for you indefinitely. It may require tweaking every once in a while just to keep it up-to-date but the hard work has been done so you can watch your passive income roll in. 3. Use it as a Sign Up tool. Giving your eBook away for free may sound crazy because you're not making any income from it, but if you're just starting out it's a great incentive for people signing up to your mailing list. 4. Creating and Publishing was easy. Marketing your eBook is where things get tough. Create a blog and use it as a platform to market your eBook. 5. eBooks are everywhere! People of every age group have access to a device, whether it be a mobile phone or iPad. In 2014 $5 billion of Kindle Devices were sold according to Morgan Stanley. 6. It Will Increase Your Authority Online. The more exposure you have the more trust you'll have with your reader's. Exposure builds credibility. Saying you're an author will you take you to the next level. Keep your blog fresh and brainstorm continuously. Follow your competitor's tactics and strategies and evolve! Without an idea or initial spark your book is dead in the water. Make notes from thoughts that pop into your mind. In any kind of writing, research is your friend, so take your time read books, magazines and articles on your chosen subject. The Internet has a wealth of information for you to tap into. Life experience is another resource to tap into. A simple note: the average eBook is about 25 pages long. Buy a pocket notepad something you can easily slip into a bag or pocket and carry it around with you while you're out and about. Ideas can come at the strangest times during the day. Having a pad on your person or on your bedside cabinet can save hours of sitting trying to think up an idea. Be careful with your time, spend it wisely. If you're not spending the time on your book start creating your author platform and developing your marketing strategy. Start by writing an outline on your chosen subject, this will help you get your thoughts in order. Jot down your chapter headings, you can always rearrange them later. Keep all distractions to a minimum, mobile phones, iPads etc things with social media that will pull you away from your task and will cost you time. Switch them off. You'll be amazed at how much you can write in a couple of hours. Once you've start typing out your book, remember to create a backup and save as you go. This will save you a lot of upset if you do end up losing your work. Write from the perspective of your target audience, and determine who it is you're writing for. Make writing a regular habit and develop it. This is your opportunity to pass on your own insight and talk about something you're really passionate about. Every writer's worst nightmare is 'writer's block', when you go to write/type something and there's nothing in your mind. Don't get overwhelmed by your task, do it in bite sized chunks. Write in draft form, keep it simple and stay away from formatting your document. You can do that later on when you book is close to completion. The same goes for editing, wait until the end, your main aim is to have a draft copy of your book, you'll have plenty of time later to make it pretty. Choose a finishing date, a date in your calendar you’re ready to sell it by. This should all coincide with your blog/website start. At this point a small celebration is in order, you've written your draft, done your research and the end is in sight. Make a print out and read through it for punctuation and spelling errors. Check your grammar and spelling, don't leave it up to the spellchecker. I never completely trust my spell checker. Make it your best work but also bare in mind it'll never be perfect. You have a date in your diary to keep, so stick to it and get it done. Choose a title at the end because you have a fresh set of eyes and a complete picture of what your book is about. I use Google Docs to type out my manuscript it's simple and easy to use. Images and photos can easily be uploaded. Your book will be read on a variety of devices including mobile phones, Nooks, PCs, Kindles, laptops and tablets. The page and font size will vary to the original document so keep it simple and clean. Page numbers (some devices allocate page numbers based on the preference of the owner, eBook files don't have a universal page number). Advertising and promotion - Don't promote other competitors if your publishing with other websites. Use your website/blog, Facebook to promote yourself. Background images and colours along with borders aren't recommended. Text will look feint on a grey scale e reading device. Drop caps at the beginning of each chapter. Multi column's, stick to a single column layout. Text boxes - If a large font size is being used, the text box may run onto the next page. Your page size is irrelevant - letter or A4 is fine. Use standard settings for your margins. Some e readers don't display colour, but only display greyscale. Insert images into your manuscript as separate files (GIF, TIFF, PDF, PNG and JPG) are all fine to use. Don't float images left or right of text. Keep them in their own line instead. This all depends upon your own budget, if you don't have the money you can easily create your own book cover for free, or you can pay someone else to create one for you. Keep it simple, I can't stress this enough. Amazon provide an book cover maker for you. You can create your own book cover with Amazon's images, backgrounds and fonts. Once your book starts making money you can always update your book cover. A good guide is to start selling your eBook for $2.99 this way you'll earn a 70% royalty. A good place to start selling your book is Amazon but there are plenty of other channels to sell your eBook through such as SmashWords and Kobo. This way, you have a platform with thousands of people at your fingertips. It's also secure and VAT is taken care of. The key factors in any self published book (eBook) is the front and back matter. This can make your eBook look professional and a quality product. Depending upon the publisher or authors, this page can vary. This is pretty self explanatory, many authors choose to put this in the back of their eBook. Keep it short and sweet and make sure you include your website URL. List all of the books you currently have published. Your title and author name. Place them in the centre of the page in a large clear font. You can make this detailed or as simple as you feel e.g. For Bill, and a reason why. You could include quotes from other authors that are relevant to your subject. Remember to centre your dedication. Remember to start your first page on an odd number. You can include a lot of things in the back of your eBook. There is no correct order for any of the above. Be as creative as you feel. The Acknowledgements page generally comes after the end of your story or non-fiction content. If your eBook is non-fiction it will need a TOC (table of contents) in the front of the eBook. I'm not the artistic type but enjoy a good challenge. Creating a book cover can be trying in itself. With very little skill and experience you can create a book cover for free. A great way for first time author's to save money. It's easy for anyone to use and can be found in Beta release form in your KDP account. Image select. (Choose a design) - Amazon provides you with its own royalty free images, or you can use your own. Text designs are just as easy to use. Enter the title and subtitle if you have one. The fun really starts here, style and edit is where your design the layout of your eBook cover. Choose your colours: You can customise your colours or choose from a selection of 27 professionally defined colour schemes. Choose your layout: With instant results choose from eight cover selection designs, with instant results. Choose your font: You can adjust your text type and size, colour and positioning. (Choosing from 12 pre-selected font options). Preview: You can preview your results and see what you've created on an e-ink reader. Not every writer likes the idea of a personal brand. That's understandable. Especially if you don't like talking about yourself or your achievements. Branding doesn't have to be daunting or scary. After all you're showcasing your own ideas,stories and expertise which over time will help build your audience. 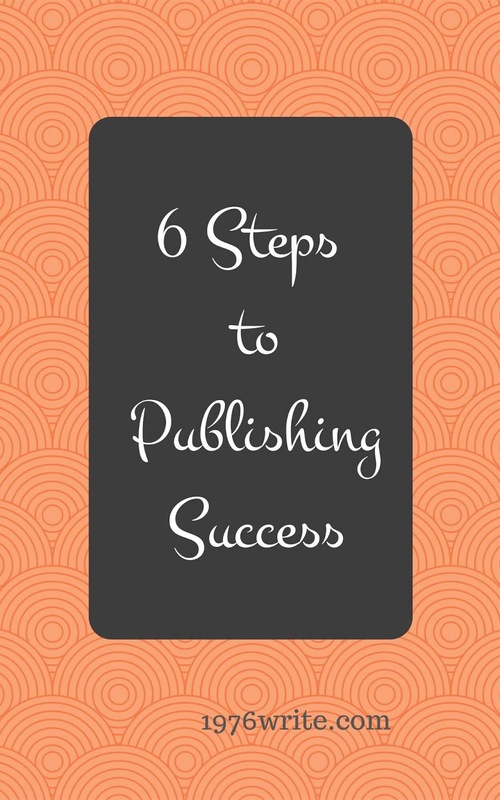 Strengthening your author brand is a key element to your success in today's marketplace. Once you've built it, it's yours and no one can take that away from you. You can see the contrast between time spent building a brand, and an author that hasn't bothered to invest in the necessary resources for developing their own personal online presence. Think of it like this your brand is like your business card, and along with your book(s), your brand helps to build your credibility and open doors to future projects. If you're in it for the long haul you need to commit to a branding strategy as soon as your first book is published. You need to spend time and energy on your brand, in order for you to "stand out from the crowd", finding a niche for yourself. Separating yourself and helping you to stand out making you different from any other author out there. You are your biggest competition. You won't need to worry about your rivals, you can use that energy to build your brand instead. You have total control over your branding, don't worry about how you'll be perceived in the market. Ask yourself is your brand compatible and true to you? In the current digital age you can take charge of your branding through social media using a myriad of tools. By Focusing your effort and assigning time carefully you can become an authority in your particular area of expertise. Both your book and brand can be the portal to other entrepreneurial pursuits including other revenue streams and services you can offer. Help your audience understand who you are through your brand so they can make an informed buying decision. Once you've written and edited your book, you need to find somewhere to publish it. The most accessible platform is Kindle Direct Publishing (KDP). Publishing sounds so complicated and baffling. The reality is Kindle is one of the easiest platforms on the internet to publish on. I've published all three of my books on Kindle and don't have the headache of paying someone to do it for me. I want to share with you some of the tips I've learnt and help you to publish your own book on Kindle. You're publishing your own work, so you have copyright. This means you need to verify This is not a public domain work and I hold the necessary publishing right. ● Adobe PDF I use Google Docs to write my eBook on. It’s a straightforward save and easy to upload on Kindle. I want to keep this easy, so just upload your manuscript and let Amazon reformat it for you onto Kindle. If you've gone with the HTML format file, you can use Kindle Previewer. You can see how well your book works on different Kindle versions. If you're happy with the format you've chosen you can upload your file to KDP. The next option is Digital Rights Management. ● You can enable if you want to make it difficult for people to copy your book. ● Do not enable if your preference is to make your book available without restrictions. Once you've uploaded you can preview it to see if it looks okay. (You can't change this option later). You have two choices, create your own eBook cover, or use the template- based cover creator. I've tried both and prefer creating my own design using Fotor. The cover is an important part of your book and will help attract readers. 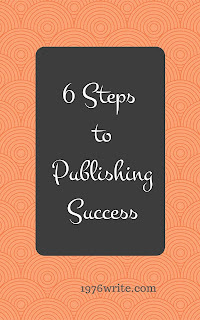 Creating your book cover doesn't need to be difficult. You can find a photo and put a title over it, or create a text based cover like mine below. You can use your own photo or artwork, or download one from an image library. The easier and cheaper option is to use your own. Kindle eBook image size 1563 x 2500 pixels. Its advisable to make your cover in colour, even though Kindle only displays in black and white. Kindle Fire, Kindle app and windows etc all display in colour. Click Browse for image, select your cover, then upload your image. It’s a good place to start if you want to experiment and see how various fonts and designs look. Click Worldwide Rights - all territories. Your book will show up on Amazon sites all around the world. Set your price at $2.99 and you'll receive a 70% royalty on each purchase. Your price is set by the US price, which means you can customise your price in different territories. Within hours your book will appear on Amazon all around the world. Where Next?